We are big fans of rustic bathrooms here at VictoriaPlum.com, so we decided to pull together our top tips for creating your very own country escape. Nothing says "country" more than wood and textured natural materials and there are so many different ways to incorporate them into your bathroom. 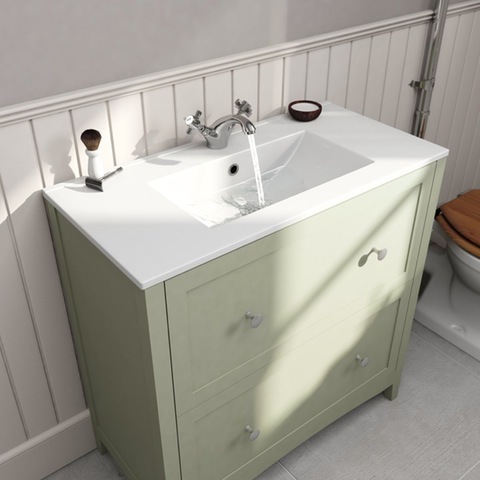 If you aren't looking for a full bathroom update then accessories are the perfect place to start. A new wooden toilet seat, a light wood-framed mirror and a few Hessian-style containers would make the perfect country combination. If you are happy to do a little more work in your bathroom, then tiles might be just what you are looking for. Tiles work brilliantly in the bathroom - they look good, they last for years and they are a simple way to add to the style of the room. Stone and wood effect tiles will suit the country look perfectly. 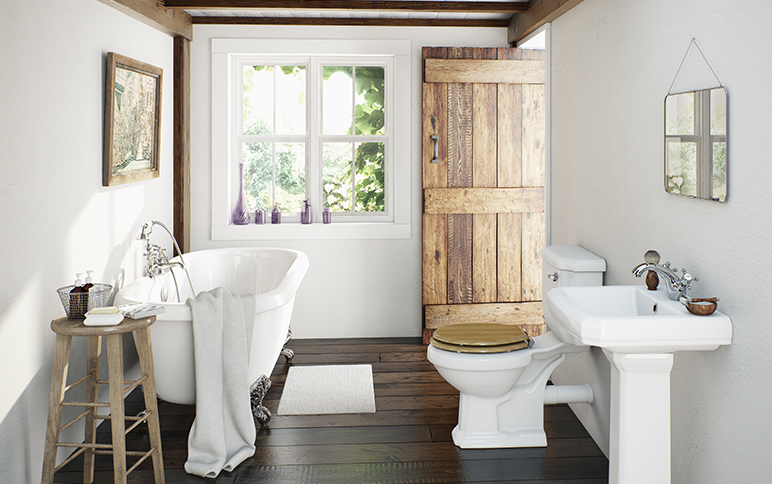 Our next tip is to fill your bathroom with earthy colours. Whether you use them on your walls, your towels or even your furniture, just make sure they are coordinated. Use greens, browns and creams to get that perfect country style. Don't be afraid to get your craft on. Homemade pieces complement this room style and are great fun to create. Wrapping rope around containers is a really simple project for you to complete that will look great and work well in your new bathroom. If you don't have the time to create any handcrafted masterpieces, not to worry - there are many different shops you can visit to find the perfect little accessories you are looking for. If you love Pinterest as much as we do, head over to this really cool board which has some amazing country bathroom ideas and some more inspiration for you.